Carolyn "Carrie" Margaret Telles, 63, passed away at Memorial Medical Center while surrounded by her family on Sunday, February 24, 2019. Carrie was our dearly beloved wife, mother, grandmother, mother-in-law, nina, aunty, sister, and friend. 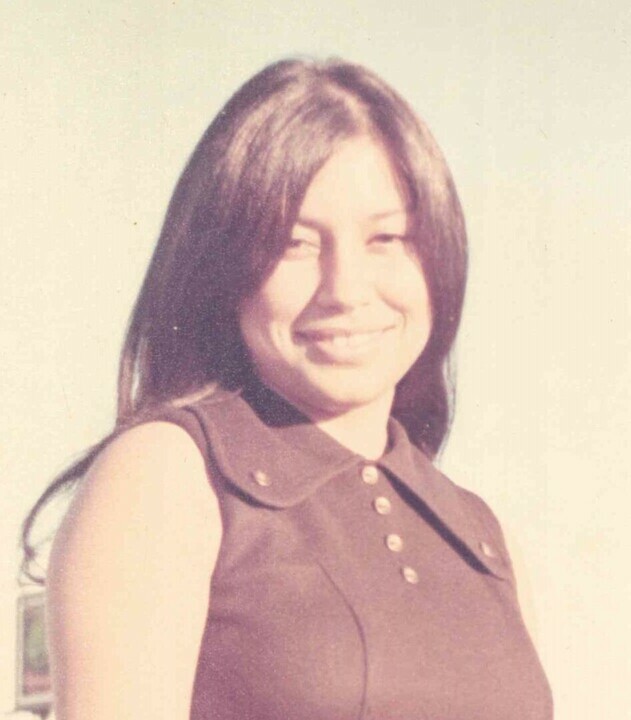 Carrie, as she was fondly known by her family and friends is survived by her loving husband of 44 years, Ruben Telles, son Ruben Telles Jr. his wife Grace, and daughter Cynthia Telles. 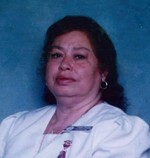 She is also survived by her sister Tina Fierro, brother Manuel “Sonny” Gonzales (Sylvia), and brother-in-law Don Montoya. She cherished and adored her grandchildren and great grandchild. Carrie had 9 grandchildren, Diamond, Jacob, Amber, Ruben III, Elizabeth, Ramon, Jazmine, Joshua, Josiah, and one great granddaughter, Gabby. She is also survived by many cousins, nieces, nephews, and godchildren. Carrie was born in El Paso, TX to Manuel and Mary Gonzales on February 24, 1956. Carrie graduated from Mayfield High School in 1974 and soon after on December 28, 1974, married the love of her life, Ruben Telles. Together they built a home in Vado, NM where they shared many great memories with family and friends. Carrie took pride in the many organizations she was involved with. She was a member of the Catholic Daughters of Americas Court Santa Cruz 1298 and the Knights of Columbus Ladies Auxiliary 1226. She became a “Cursillista” in 1985 and was a member of The Basilica of San Albino Catholic Church in Mesilla, NM. Carrie worked for the Town of Mesilla and was a former President of El Grupo Cultural where she took part in coordinating Cinco de Mayo and Diez Y Seis de Septiembre Fiestas. Carrie worked in public services for many years. She proudly served the Dona Ana County as Chief Deputy Treasurer with David Gutierrez. Carrie enjoyed many hobbies such as thrift shopping, crafting, computer games, camping, traveling, gardening in her greenhouse her husband built, and listening to oldies. Those of you who knew her will know that she would be expecting Elvis to be waiting for her at the pearly white gates in heaven. Carrie was a kind and generous soul, one that would always help others in a time of need. There was always enough food for those at the table that were hungry and shoes for those that had none. Carrie is preceded in death by her parents Manuel and Mary Gonzales and sister Lucille Montoya. Visitation for Carrie will be held Monday, March 4, 2019 from 5pm to 7pm, followed by a Rosary that will begin at 7pm at Getz Funeral Home, 1410 E. Bowman Ave. The funeral Mass will be held on Tuesday, March 5, 2019 at 10:30 a.m. at The Basilica of San Albino Catholic Church, she will be laid to rest at the San Albino Cemetery, both in which are in the Town of Mesilla. Celebration of Carrie’s life will follow at the Knights of Columbus Hall, 2755 E Idaho Ave.
Pallbearers are Jacob Nevarez, Ruben Telles III, Daniel Gonzales, Julian Gonzales, Chris Ontiveros, and Hector Solis. Honorary Pallbearers are Diamond, Amber, Mario, Paulina, Dickie, and George. We, the family, would like to extend our heartfelt gratitude to the staff at Memorial Medical Center, Intensive Care Unit, for their great care, effort, and dedication to our loved one, and for their help getting us through this difficult time. Arrangements are being held by Getz Funeral Home, corner of Solano and Bowman Ave. To sign the local online guest book and send condolences please visit www.GetzCares.com. To send flowers to the family of Carolyn M Telles, please visit our Heartfelt Sympathies Store.